"Lock-time" is defined as the "time interval between sear release and the firing-pin striking the primer." Those familiar with the writings of Ross Seyfried will recognize the statement that, to the shooter, a firearm has only two active parts: the sights and the trigger. For background, the Springfield 1903A3 Army rifle has a locktime of somewhere around 6.5 milliseconds, contingent on mainspring condition. The Remington M-700 long action has a locktime of 3.0 milliseconds, the Remington short action 2.6 milliseconds. The Remington Ultimate muzzleloader, is of course, Remington short-action based. It is this fast locktime that gives the Remington Ultimate a clear advantage over all hinge-pin hammer guns. Hornady, for example, publishes 150 grain ballistics for their 250 grain and 300 grain SST Lock-N-Load sabots. The 250 grain SST has published static B.C. of .21 and a MV of 2250 fps; the 300 grain SST has a published B.C., by Hornady, of .25 with a muzzle velocity of 2130 fps. 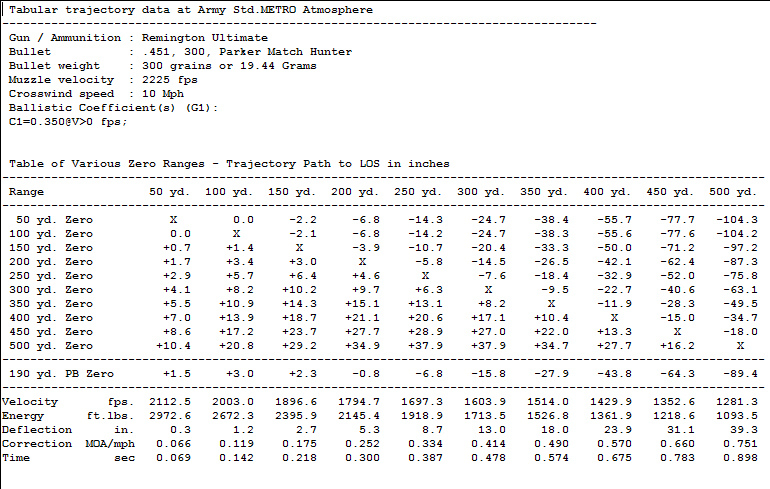 Using 100 grains by weight of Blackhorn 209 is roughly 2350 fps with a 250 grain saboted projectile, and about 2225 fps with a 300 grain projectile in the Remington 700 Ultimate Muzzleloader. 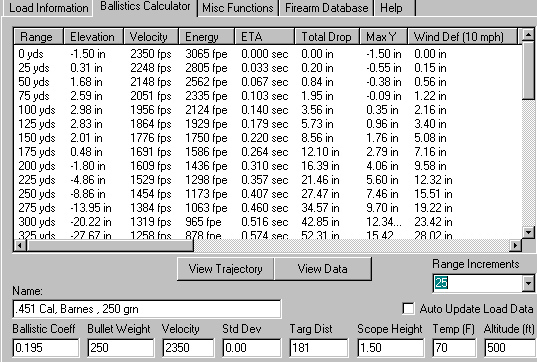 The slower, heavier projectile can often be the flatter-shooting, higher terminal velocity bullet. Let's look at the Remington Premier Accu-tip, actually the Barnes Spitfire T-EZ Flat Base in 250 grain (.195 B.C.) (above) and 290 grain (.223) configurations (shown below). We will also add in the .458 diameter, 300 grain Barnes Original with a .291 B.C. 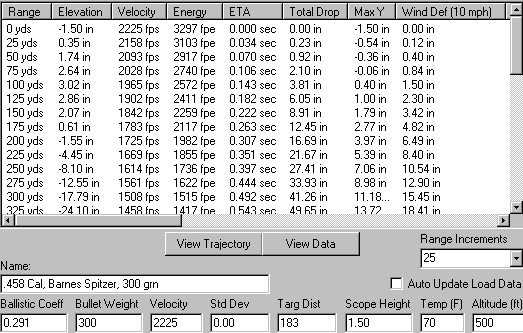 and a 2225 fps instrumental velocity. Of the three loads, using the same 100 grains by weight of Blackhorn 209, the 2250 fps Barnes Original has the longest 6 inch kill zone Maximum Point Blank Range: 214 yards. Using the 300 grain Parker Match / Hunter (.35 B.C) yields a 219 yard 6 inch MPBR. The differences might seem minute, until you look at 300 yard 10 mph wind drift data. 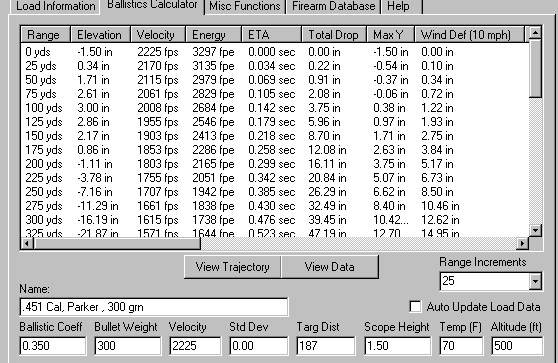 12.62 inches for the Parker Match / Hunter, 15.45 inches for the Barnes Original, 21.1 inches for the 290 Barnes T-EZ, and nearly two feet, 23.42 inches, for the fastest launch velocity bullet, the 250 T-EZ Barnes at 2350 fps. At 300 yards, the 250 T-EZ hits at 1319 fps, but the slower Barnes Original 300 grain Semi-Spitzer hits at 1508 fps, the Parker Match Hunter at 1615 fps. While the extra 125 fps at the muzzle of the lighter bullet might sound appealing, the SLOWER muzzle velocity bullet is actually about 300 fps FASTER at 300 yards, with about HALF the wind drift. The real-world field advantage is anything but trivia at 300 yards. 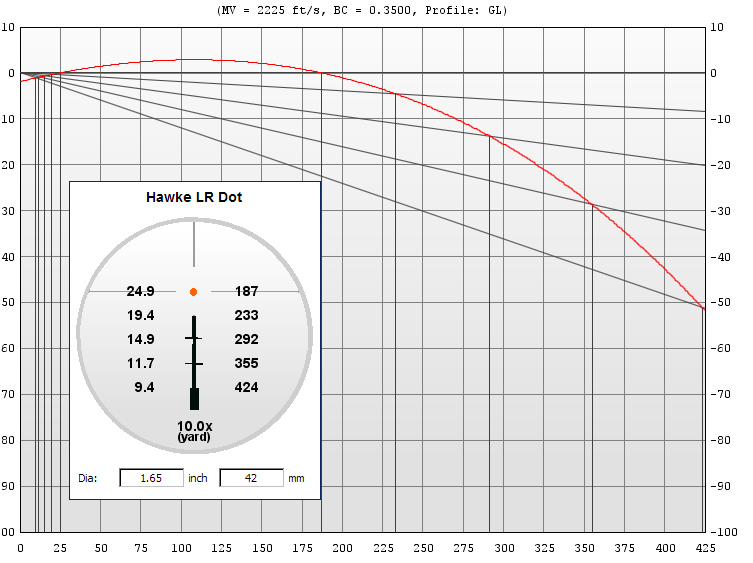 As to how the Parker 300 grain Match/Hunter at 2225 fps translates to the reticle of the Hawke Endurance 30 scope used on my test rifle, at 10x, with a 187 yard zero, here it is. 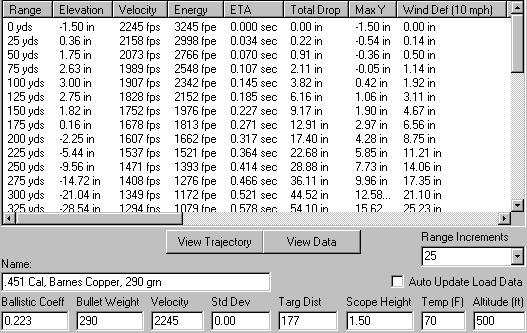 Above is representative extended trajectory data, using a 190 yard zero, to 500 yards. 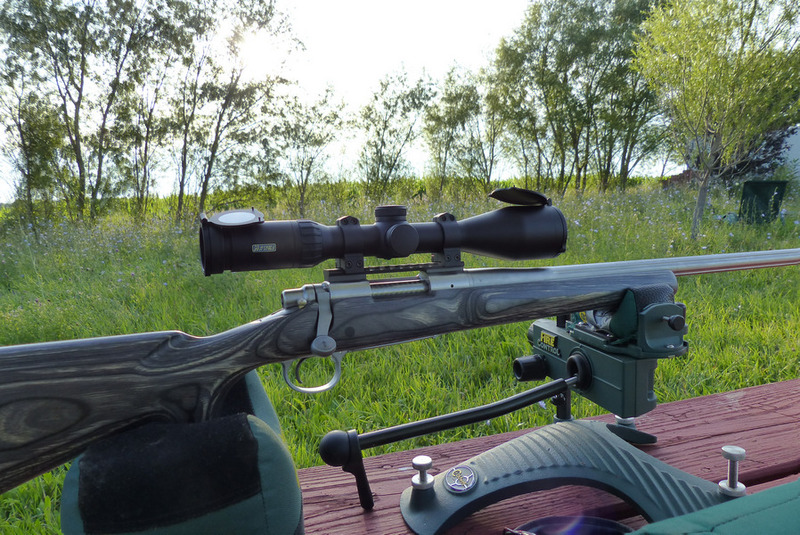 Scope height, temperature, barometric pressure, etc., will change your results so always confirm with your own rifle, under your own ambient conditions.